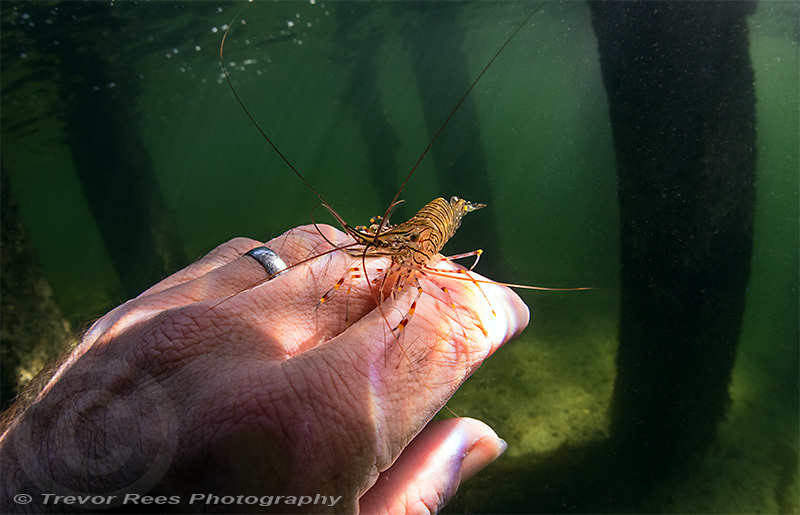 A small prawn lands on my hand during a dive at the Twin piers site at Loch Long, Scotland. This common prawn curiously just landed on my hand during a dive under the Twin piers site at Loch long. It stayed for a brief minute, perhaps looking for something to clean off me, before swimming off again. Warm September water meant no need to wear gloves to keep my hands warm.